Providing peace of mind with fitment and quality to repair centers who are operating on shortened repair cycles. We offer a full line of CAPA & NSF certified aftermarket lights. The opportunity to provide insurance quality alternatives to OEM products separates us in this industry. Quality is our primary objective with remanufactured lighting, as insurance companies are pushing alternative products. We provide an alternative to “going new” on all parts. Delivering a quality product that rivals new lights, insurance companies and body shops alike can identify a significant savings with All Star. All repairs at All Star are completed with OEM products and go through extensive testing to ensure strength. Beyond the strength of the repair, the appearance once complete is essential. We respect the fact that our customer is the one that has to deliver the car to their client. With that in mind, the cleanliness and appearance of the repair and the product must reflect the highest standards. We are here to win back the industry confidence in remanufactured lamps because we value our reputation on our product over making another sale. At the end of the day, believe it or not, some lights were meant to be thrown away and not remanufactured. 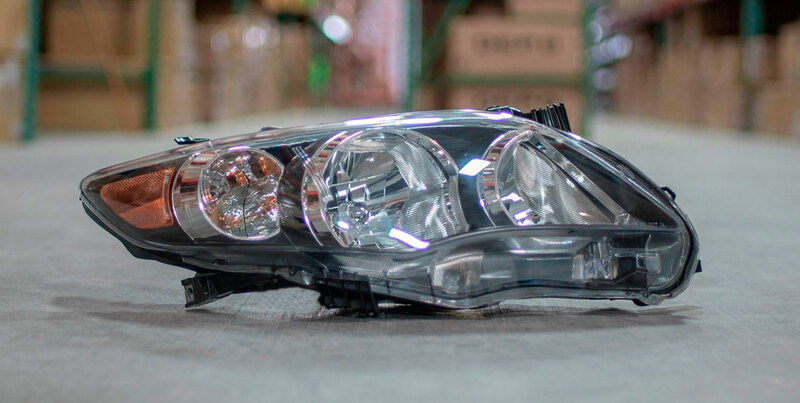 All Star carries a complete line of both foreign and domestic automotive headlights, tail lights, fog lights, and turn signals. Servicing your entire replacement needs, our inventory includes OEM reconditioned, used and surplus parts as well as a large selection of xenon lamps and parts. As the collision repair industry continues to evolve, select All Star locations have added a full line of CAPA certified lamps to provide body shops and repair centers alike the opportunity to choose the parts that best fit their budget and customer needs.